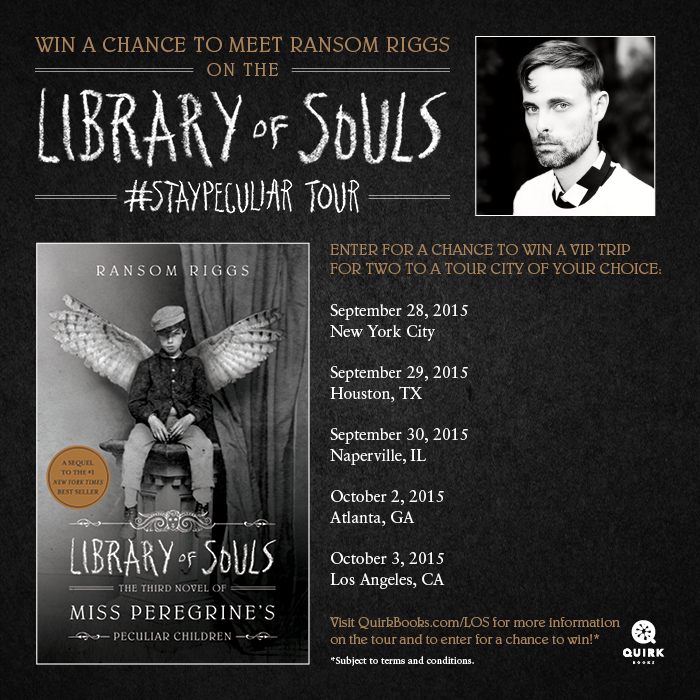 Library of Souls Tour and Giveaway! Are you a peculiar reader? Ransom Riggs’ fantastic and photographically bizarre trilogy is coming to a close next month. I adored Miss Peregrine’s Home for Peculiar Children and I reviewed the sequel Hollow City here. I can’t wait to see how this series ends! Snap a selfie of your most peculiar costume and send Quirk Books a link. Tag your photo with the #StayPeculiar hashtag. Visit the Library of Souls page for all the info! 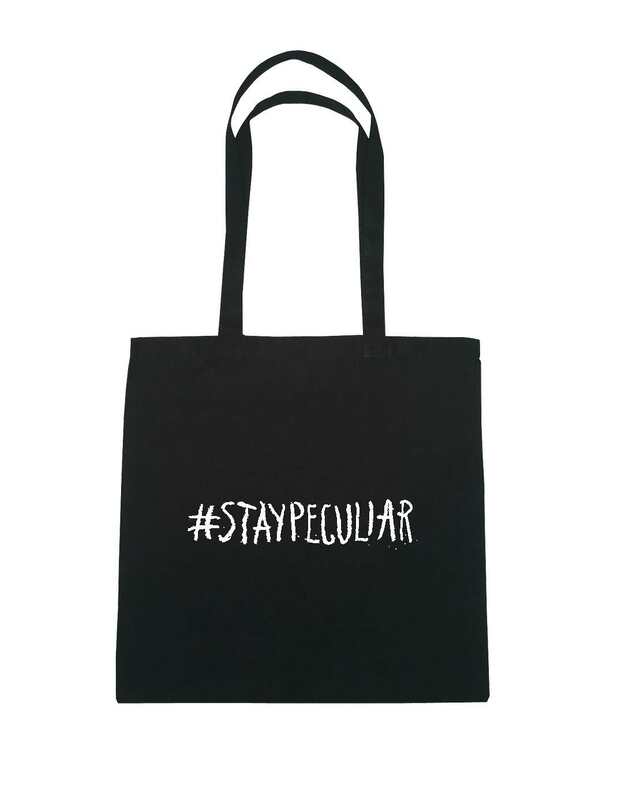 But before you go do that Quirk is giving me this super fun #StayPeculiar tote to give away too! Enter this Rafflecopter link and good luck Peculiar readers! Important stuff: US ONLY, ENDS 08/17 @ 12am/c. Winner has 48 hours to respond to my email or I will draw another. Books and Swoon Blog Tour and Giveaway! Just for fun, we’re joining in with Fic Fare and the Swoony Boys Podcast for a Valentine-themed post and giveaway. 25 blogs are hosting giveaways and a scavenger hunt. We’ve got a special giveaway (details below) and you can also enter a big giveaway for a bracelet and an amazon giftcard – each participating blog has an assigned word or phrase (highlighted) somewhere in the post that you need to find to enter the grand giveaway (find a list of all the blogs to visit below). Anyway, for our 14 Days of Fictional Swoon post, we are bringing you on a date. Or two. If you could plan a double-date with any fictional characters, who would you bring? You just think about your answer for a minute, then you can scroll down for our’s! I decided first that our double date would have to be a triple date so that Holly and I and our husbands could all be together. Then because I decided I had two of the best couples I could think of and didn’t want to make up my mind it’s now a quadruple date. Holly is inspiring me to be a rule breaker clearly. It would be an amazingly hilarious date I want you to know. My date includes my sister and the husbands, as well as Samir and Mili from Sonali Dev’s fantastic new book A Bollywood Affair and the delightful Bridget Jones and Mark Darcy from Bridget Jones’s Diary. (I’m pretending Bridget Jones #3 has never happened and if you try to tell me otherwise I am not responsible for my response.) Basically this dream date involves Samir cooking all the delicious sounding Indian food described in A Bollywood Affair in Mark Darcy’s posh London home. It also involves drinking ALL of the wine with Bridget and hilarious and intelligent conversation with Mili Don’t you wish you could be invited too?! One time, Amanda came to visit me while I was in college and we went out for a nice dinner. It also happened to be Valentine’s day, so we were the literally the only two-some in the restaurant that was not out for a romantic evening together. Anyway, I am certain we had a good time, and considering that I am not a believer in celebrating romantic V-day’s, I decided that first and foremost, I would bring my sister on my fictional book character double-date. That’s right – we’re going out for second breakfast with hobbits Merry and Pippin. All romance will be repressed. In fact, there’s a good chance that these two would get stoned and blow us off, but that’s okay. Amanda and I will still have a good time. In other words, I just completely broke all the rules about writing about Valentine’s Day swoony things. But, if you do want to read something more romantic, enter the giveaway below for a copy of A Bollywood Affair, which Amanda and I wrote about here and here. US only -sorry! and enter the big giveaway! It’s pretty easy to enter. Just click on the Rafflecopter link below and start following some great bloggers. For your trouble we are offering a first place prize of $150.00 Amazon or Barnes and Nobles gift card and a 2nd place prize of $50.00 Amazon or Barnes and Nobles gift card. Really you are the big winner either way as you get to add some fabulous new blogs to your blog feeds. Good luck! All about Us and a Giveaway! Welcome! 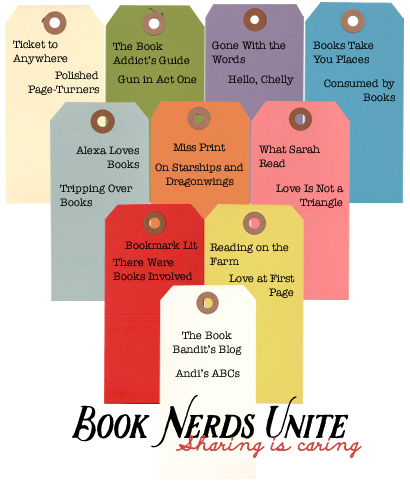 I’m so excited to be a part of Cuddlebuggery’s blog hop because they were the first book blog I started following! 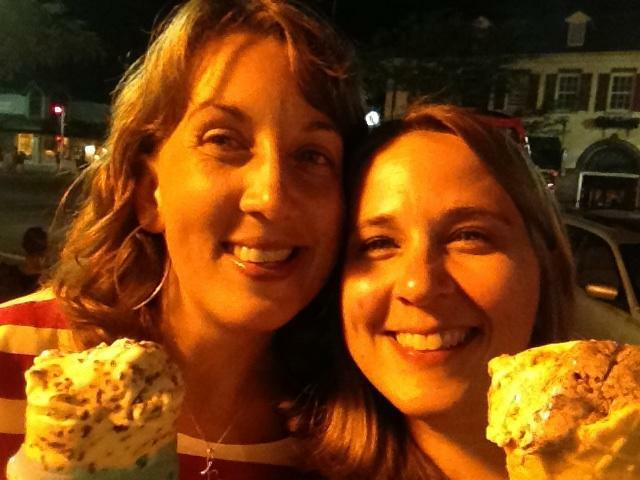 I’m Amanda and I post here with my sister Holly. Gun in Act One was born in homage to our high school English literature teacher (RIP Brother Ruhl) who I can say taught me to really read well and taught us both to read Chekhov. Important lesson-If there’s a gun on the wall in Act One, it’s going to go off by Act Five. I live in Chicago with my husband, 4 year-old daughter and insane labrabeast. Holly lives in Virginia with her husband and much maligned dog, who they generally refer to just as doggie. (Holly interjection – she is the meanest, laziest, prettiest dog you will ever see. Probably from a distance because she doesn’t want to be your friend.) 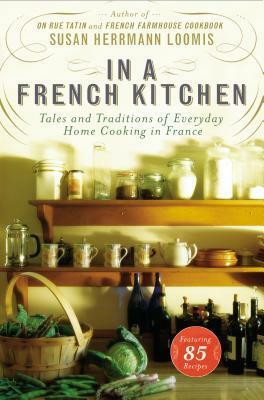 We both like to cook, love to travel, and try to stay healthy by running, sometimes after the 4 year-old. We’re happy to sit down and chat about pretty much anything over a glass of wine. We’re staunchly pro-women and despite the Gun in the Title we’re not really fans of those. Despite what this might sound like we’re very different too! I, Amanda, tend to post more reviews because I have lots of commuting time to read and I will generally try any book you put in front of me (with some exceptions). Holly is, shall we say, more selective? She can’t always be bothered to read what doesn’t sound wonderful, which is why I harass her to follow my book obsessions. Ex. 1. Lumatere , Ex 2. Feed. Maybe I sometimes purchase books to send to her kindle to make her read them. Maybe. Holly posts more discussion posts because she’s basically the smartest person I know and she’s full of profound thoughts (and hilarious). One of our new favorite things to do is read a book together for review. The first book we read was Robert Galbraith, a/k/a J.K. Rowling’s The Cuckoo’s Calling. This mystery is far from the Hogwarts scene you might expect from Rowling but we loved it and we especially loved Cormoran Strike, the hero of this new series. We’re giving away a copy of The Cuckoo’s Calling so that you can fall for Strike too! US only please-sorry we have to keep the dogs in biscuits and the 4 year-old in books too and postage is expensive! To enter, either follow us on WordPress (see the button on the top right) or on Bloglovin. Then, click the Rafflecopter link below to tell us how you follow Gun In Act One. You can get a second Rafflecopter entry by leaving us a comment below – tell us your favorite book or series, favorite ice cream, or favorite high school English teacher! Enter again by following one of us or both on twitter! Are you on the blog hop too? Leave us a link so we can get to know you!